Welcome to Emergency Plumbers Dublin. 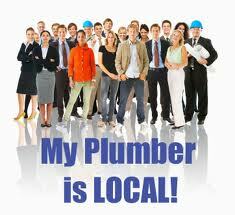 We are the largest and most popular plumbing company in the county. Our team of Dublin 2 Plumbers are on call day and night for all of those unfortunate plumbing problems that arise from time to time. We undertake all plumbing work with the “no job to large or small” motto. Our quality workmanship comes from the fact of our experience. Not only have we been operating throughout Dublin for many years through good times and bad, some of our senior staff have over 40 years experience within the domestic and commercial plumbing industry. This means we have the knowledge and resources to complete any work to the highest industry standards. No nonsense pricing! In this day and age we can not believe that there are still some unscrupulous individuals and companies who still slip in hidden fees and charges. This is not the way we operate. We are completely transparent from start to finish. We don’t charge for call outs, parking fess, sourcing parts, traveling time. We agree a price and only require payment of the agreed sum on completion. Then only when the customer is 100% happy with the work. • 24/7, 365 Emergency Plumbing Services. • Guaranteed under 1 Hour Emergency Response Time Day Or Night. • R.G.I. Registered Gas Installers. • Over 40 Years Trade Experience. • Large Team of Dublin Plumbers. • All Our Team Are Fully Qualified. • All Of Our Work Is 100% Guaranteed. • Free No Obligation Quotes. • No Call Out Fee Policy. • Full Public & Private Indemnity Insurance. Baggot St Upper, and Lower, College Green, Fitzwilliam Square, Harcourt Street, Kildare Street, Lord Edward Street, Merrion Square, Mount Street Upper, and Lower, Nassau Street, Pearse Street, St. Stephen’s Green, South Great Georges Street, Leeson Street Upper and Lower. If you require any plumbing services please do not hesitate to contact us. We are happy to offer free no obligation quotes and fee professional advice. Remember we operate 24/7-365. Just call 01-6874850 or 0861235562.